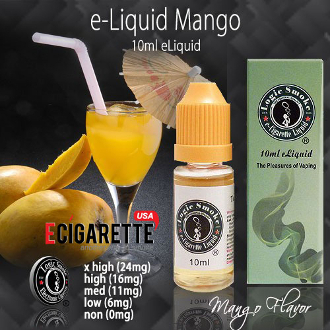 If you are looking for a fruity flavor of vape liquid that will satisfy your sweet cravings and remind you of a tropical summer, then Logic Smoke Mango E liquid is the flavor for you. It is a bold and sweet flavor that will wow you with it’s tastiness every time you inhale. Pick up a bottle of Mango vape liquid from Logic Smoke and escape to the tropics.